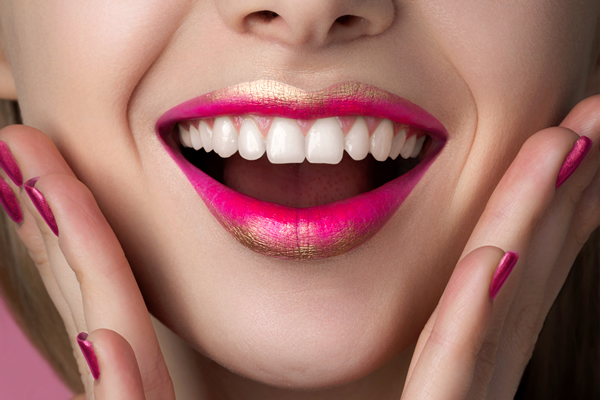 If you have healthy teeth, and would like to have a smile makeover, two of our most popular cosmetic dental options at Leeming Dental are veneers and contouring. 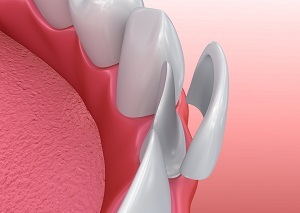 Veneers are dental restorations of the front surfaces of your teeth. They look completely natural, and you can eat, smile and laugh normally right after you have had them fitted. Porcelain veneers are wafer-thin ceramic pieces that are fitted and bonded right over your tooth. They are used to restore or change a tooth’s original shape, colour and function. Sometimes part of your tooth will need to be buffed in order to reduce the bulkiness of the veneer. This helps create a more natural looking tooth that is level with your other teeth and the gum line. Not everyone is a suitable candidate for receiving porcelain veneers. Your teeth and gums need to be healthy and free from cavities and periodontal disease before they can undergo veneer treatment. Bonding (or composite veneers) are a type of dental veneer that is applied directly on to your teeth. Bonding is a quick and easy dental option that is cheaper than porcelain veneers. Unlike porcelain veneers that are fabricated in a 3D milling machine or dental lab, a bonding treatment can be completed in a single visit. During a bonding treatment, your dentist applies a tooth-coloured resin to your tooth to form the desired shape. Then it is hardened with a curing light, and given a polish. Porcelain veneers and bonding are both cosmetic dental procedures that add material to your tooth. However, sometimes it is necessary to take away tooth material until the right balance between give and take is achieved. This cosmetic dental technique is called contouring. Contouring (or tooth reshaping) is a tooth reshaping technique used to carefully file small areas of tooth enamel to create a new outline or contour. It can be used to correct crooked, over-sized or uneven teeth. Contouring is often used to compliment veneer treatment so that the right balance in the tooth-shaping process is achieved. A combination of veneers and contouring techniques can also enhance the tips of teeth – along the biting edge – so that their shape looks just right. For those who are ready for a smile makeover, be it because of misshapen, misaligned or discoloured teeth, the first step of any smile makeover is to come in for a consultation. Veneers and contouring are just a couple of a range of cosmetic dental options that can be used to achieve your dream smile. Other dental treatment options – such as teeth whitening, crowns, inlays/onlays, braces and Invisalign® – can all play an important part in a smile makeover. In order to understand your needs completely, we believe it is important to discuss your expectations and desires, and work out a personalised smile makeover plan.